Portuguese navigator and discoverer of the sea route to India, was born at Sines, a small seaport in the province of Alemtejo. Of da Gama’s early history little is known. His descent, according to the Nobiliario of Antonio de Lima, was derived from a noble family which is mentioned in the year 1166; but the line cannot be traced without interruption farther back than the year 1280, to one Alvaro da Gama, from whom was descended Estevão da Gama, civil governor of Sines, whose third son Vasco was born probably about the year 1460. Vasco da gama families were normal families that had intelligent men in it. In 1497, when he was a 38-year old bachelor, da Gama was selected by King Manuel I of Portugal to follow up the discovery of Bartholomew Diaz of a great ocean east off the Cape of Good Hope. His family was not originally from Portugal, but da Gama did not think of any place but Portugal as his home. His father’s family originally came from the southern provinces of Alentejo, which is part of Portugal. His mother’s family, on the other hand, was English. In 1484 he became a sailor. Later, in between voyages, he stayed still long enough to find a woman and marry her. His wife’s name was Cateriana de Ataide. He married Cateriana in 1500. 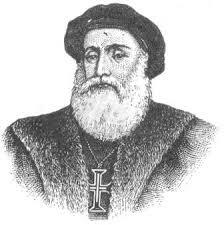 During his childhood, Vasco da Gama was educated as a nobleman and he served in the court of King Joao II. He was brought up in a maritime environment and trained in fishing, sailing and swimming during his childhood. At the age of fifteen he was a sailor. In Evora, he studied navigation and astronomy. Perhaps, he learned astronomy under the guidance of the astronomer Abraham Zacuto. Vasco da Gama was 64 and living at his house in Portugal with his wife, Cateriana de Ataide, and his 6 sons, when in 1524 King John III named him Viceroy to India. He had planned to settle down and enjoy his retirement in Portugal, but all of that changed. He had to go to India and make sure everything was running fine. 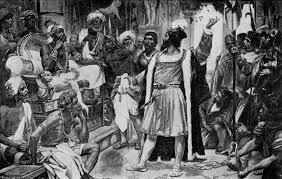 Along the way on the voyage, da Gama fell ill. Da Gama died in India shortly after arrival on December 24, 1524. He was buried in India. Later, in 1539, his remains were reburied in a chapel in Vidigueira, Portugal.